This coming weekend, a slow but decisive process of change is launching. 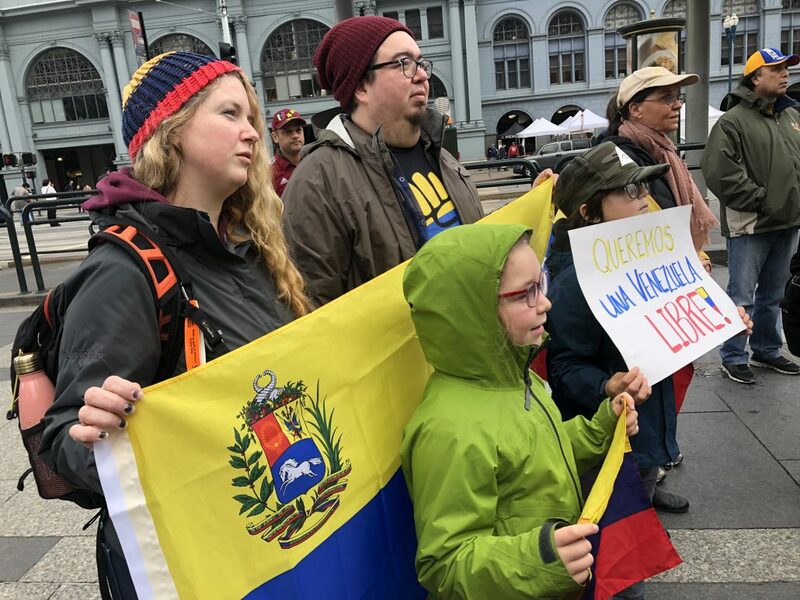 More than 50 nations have recognized Interim President Juan Guaidó who has put in place a recovery plan that starts with Humanitarian Aid of Food and Medicines. Maduro has said that the aid will not come and no one knows what will happen. After 20 years of Chavez and his handpicked successor Maduro, his failed “Socialism of the 21st Century” has utterly failed. The country of my birth has gone from the land of plenty, where everyone had free access to quality education, decent free medical and dental care and where anyone who worked could provide food and shelter to their families, to a place characterized by despair, hopelessness and a distorted outlook on life. 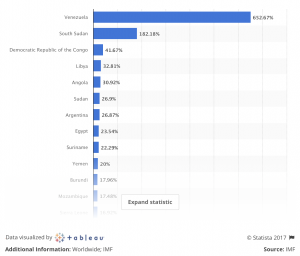 Venezuela shamefully has the highest inflation rate in the world. By the end of last year, prices were doubling every 19 days on average. This has left many Venezuelans struggling to afford basic items such as food and toiletries. Income loses its purchasing power the moment it is received. The minimum monthly salary is equivalent to US$6, which currently buys three cans of tuna fish. 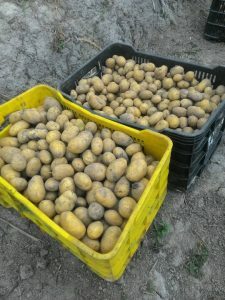 As a result the body weight of Venezuelans has been reduced by an average of 19 pounds! 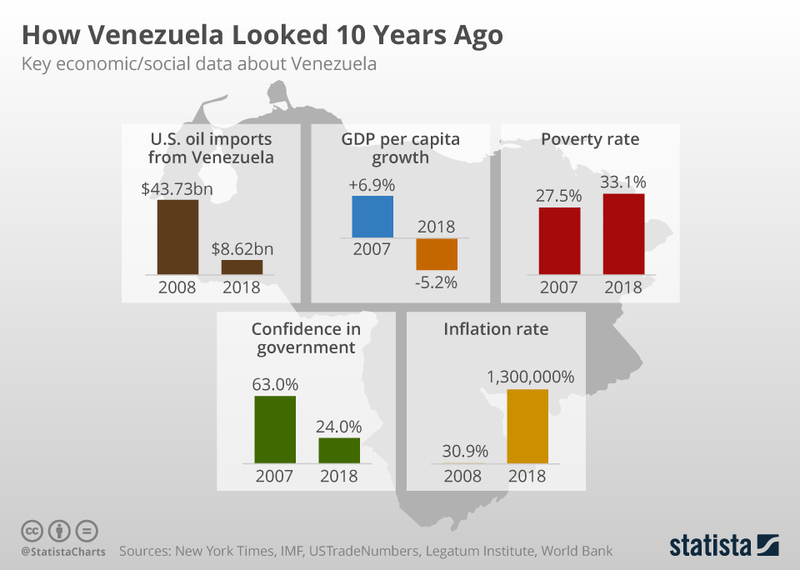 Venezuela had the most developed economy in Latin America. Since the end of World War II, the country experienced an unprecedented development boost, becoming a magnet for immigrants from Southern Europe, the Middle East and other Latin countries. In the 1980’s the economy began to wobble, its meltdown accelerated by the corruption and poor stewardship under Chavez and Maduro. By 2015 medical care collapsed as only 35% of hospital beds were available and 50% of operating rooms were not functioning due to lack of resources. 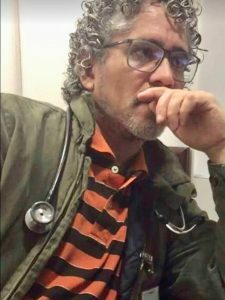 In May of the same year the Venezuelan Medical Federation announced that 15,000 doctors had left the public health care system because of shortages of drugs, equipment and poor pay. Malaria, which was almost non existent in Venezuela, is now projected to rise to over 600,000 cases per year. Measles and diphtheria have also returned with a vengeance. 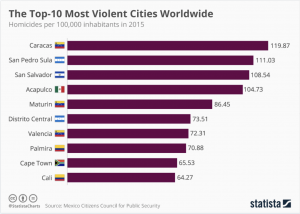 Venezuelans have left the country in droves. Some estimates are as high as 4 million or 12% of the population. And many of those who have left in the past are not allowed re-entry back into Venezuela with their US visa. Venezuelans are regularly posting requests on social media for blood pressure medicine and other basic medicaments. Many of those supplies have been denied entry and stopped at the border. 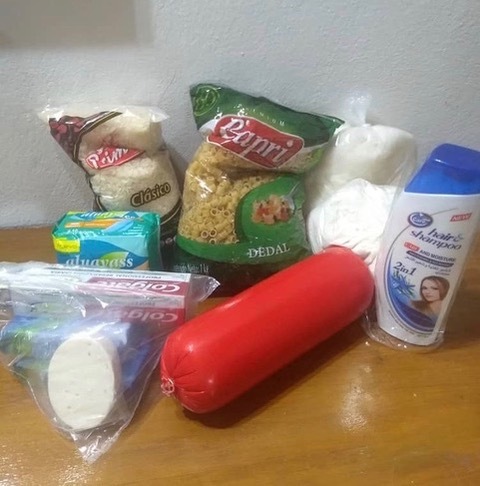 With Maduro’s announcement that the Brazil border will close, and possibly that of Colombia, this desperate need for supplies will only escalate. 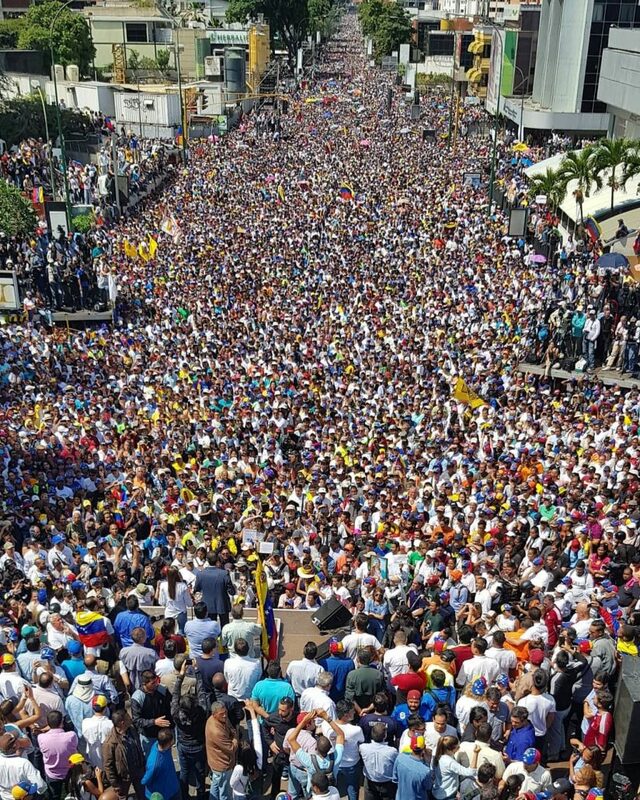 This coming 23rd February, 2019 is the day when the Interim President of Venezuela Juan Guiadó has committed as the decisive moment when the International Humanitarian Aid will come in to begin the process aiming to end some of the darkest days in Venezuelan history. The best case scenario is that people will come to the border points to receive humanitarian aid and the Venezuelan soldiers will stand down, allowing them to move freely. Their mothers and siblings will be among them for they also face the same tragic reality. Watch Venezuela Live Aid and contribute towards the $100 million Richard Branson is seeking to raise. Read more and share on Twitter, Instagram and Facebook to create awareness of the needs. 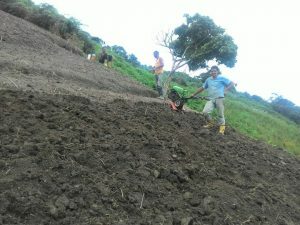 Support Next Step as we fund agricultural projects and micro-enterprises in Venezuela.